Masters of Selling Webinar from Winmo on Vimeo. What separates a good sales person from a great one? 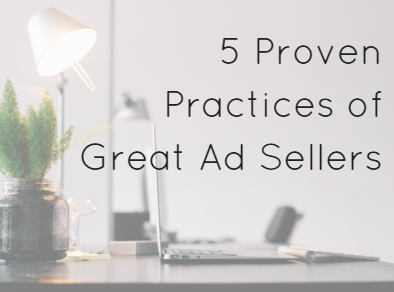 Find out in our webinar, “5 Proven Practices of Great Ad Sellers,” as we discuss how to elevate your ad sales career to new heights. Presented by: Dan Ambrose, MediaPost’s Masters of Media Selling Instructor | Jennifer Groese, Director of Marketing, List Partners Inc.